CrescentRating's Halal In Travel was first launched in 2016 at ITB Asia in Singapore. Industry professionals and relevant stakeholders have gained invaluable insights on how they can strengthen their position in a sector that is currently worth billions of dollars. 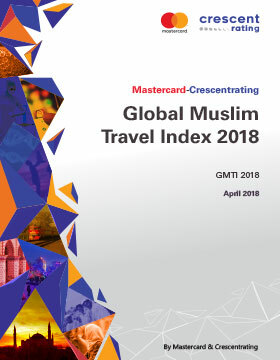 According to findings from Mastercard-CrescentRating Global Muslim Travel Index 2018, the global Muslim travel market was worth USD167 billion in 2017 and is projected to grow to USD220 billion by 2020. The Halal in Travel Conference allows delegates to leverage this fast growing halal travel market through discussions with experts from diverse backgrounds. Halal in Travel MIHAS 2019 was held in Kuala Lumpur for the second year running in partnership with MIHAS, the biggest and leading Halal Trade show in the world. (MIHAS) is the second stop in 2018 as we aim to host in 5 cities around the world this year. Head over here to find out more about how you can be a part of our event. ITB Asia, the 'Leading Trade Show for the Asian Travel Market' has established a partnership with CrescentRating, the world's leading authority on halal travel. 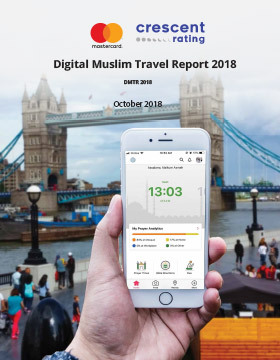 Learn and discover the latest trends and challenges to emerge in the Muslim travel market. Through a combination of keynote speeches, interactive panel discussions, and specialist presentations, our speakers are professionals and experts from National Tourism Organisations (NTO), travel industry stake holders and online travel industry players who shared insights and ideas on how to leverage this growth market to attract more travelers. Mamoun Hmedan joined Wego in 2013 as Manager, Media Sales for MENA, playing a pivotal role in establishing Wego’s media business, while launching Wego’s Private Advertising Marketplace.Promoted to General Manager in April 2014, Hmedan continued to scale the media business while developing key commercial partnerships. In 2015, he assumed the position of Managing Director, Wego MENA and India, helming a growing commercial team from Wego’s Dubai HQ. Nisha is the founder and principal consultant of Elevated Consultancy and Training. She is a management consultant, tourism/hospitality practitioner, corporate trainer and academic with more than 25 years extensive experience. Nisha provides strategic management/ marketing consultation and involved in human capacity building in emerging destinations. Nisha has been a keynote speaker, panellist, presenter and guest lecturer at conferences, exhibitions and in academic. Aisha Islam is Vice President, Consumer Products, South East Asia, Mastercard. She manages Consumer Products for Malaysia and Indonesia.In this role, her focus is to create a sustainable competitive advantage for Mastercard consumer products, overseeing product strategy, management of consumer products in line with regional trends, product delivery, portfolio management and identifying business-building opportunities. Rushdi Siddiqui was a Co-Founder & CEO of Zilzar, USA and Malaysia-based.zilzar.com, a B2B e-commerce platform, and zilzarlife.com Muslim Lifestyle website. Rushdi is among the Top 50 of Islamica 500, The 500 who make the Islamic Economy. He is a mentor for McKinsey Youth Leadership Academy(YLA) 2015 Malaysia, YLA is a leadership development program for local university students. He is also a co-founder of Shekra, World’s first Islamic Crowd Funding. Imtiaz Muqbil is one of Asia Pacific's longest serving travel trade journalists. He is the Executive Editor of Islamic Travel Newswire and Travel Impact Newswire. He is the recipient of PATA Award for Outstanding Reporting on Asia-Pacific travel and tourism industry, 1997 and Travel Journalism Award in 2005.He has just completed an editorial consultancy project on Islamic tourism in the Asia-Pacific for the UNWT, due to be published in November. Yoshiaki Nakamura graduated from Sophia University and joined Don Quijote Group in 2000. He soon progressed as the head of public relations, IR, marketing and business development. In 2008, he was appointed as the General Manager of executive office and inbound project leader. In 2013, he was appointed as CEO of Japan Inbound Solutions and engaged in inbound businesses in areas of consulting, education, training and promotions such as Muslim tourism promotions. Shiraz Imamudeen has been in the corporate sector for 15 years working for leading Multinational Conglomerates. Shiraz currently functions as the COO of Muslim Travel Warehouse, a Global B2B Halal Friendly Travel Solutions company. Shiraz also functions as a Group Director of Akquasun Group a leading Global B2B Destination Management company based in India. Ven Chin has more than 8 years of experience in finance, consulting and F&B industries. He co-founded the GD group which launched Halal restaurant chains such as Gurney Drive, Penang Culture, Penang Street Buffet and Mamak Culture. Prior to this, he worked as an Actuary in NMG Financial Services Consulting, Restaurant Manager in Fish & Co and Business Development Manager in Polar Puffs & Cakes. Akira Mitsumasu joined Japan Airlines in 1989, and has previously been responsible in the company for passenger services, network planning, international affairs, business development in China and internal auditing, before taking on the role from June 2014 as VP for marketing and strategy research of JAL's Asian and Oceania region. Akira holds a DBA from Hitotsubashi University in Tokyo, where his research was on parent and subsidiary relationship of Japanese groups. Fahad Moti Khan is the CTO of HalalTrip. At HalalTrip, Fahad is leading the vision to create the most powerful travel community platform for the Muslim travellers worldwide. Starting his career at eighteen, Fahad is a serial entrepreneur with almost two decades of industry experience playing key roles in startups across the globe. Fahad also runs Technology 9 Labs (T9L), a startup studio and seed fund based in Delhi that has helped launch over a dozen startups. Umar Munshi is the co-founder of EthisCrowd.com - the World’s 1st Islamic Real Estate Crowdfunding Platform. He also co-founded KapitalBoost.com focusing on SME Crowdfunding and is a partner at Ikhram.com / Ihram.asia, a pioneer Umrah-travel marketplace. He is also the Chairman of the Islamic Fintech Alliance, a board member of the Singapore Malay Chambers of Commerce and Industry and is the local President of TDA Singapore. Shaiful Bahri is the CEO of ZUU Southeast Asia - which runs Zuu Online, an online media portal that aims to enhance financial literacy. Prior to this, he was the General Manager at DuitPintar.com, where he grew a team of over 20 professionals and helped it to become the top financial comparison site in Indonesia. He is also a Mentor at Quest Ventures, a VC firm with bases in Beijing and Singapore. Yakup serves as DinarStandard’s Turkey and Central Asia market Research Associate. His recent DinarStandard projects have included contributing to market studies relating to the Turkish tourism, food, electronic, energy sectors as well as the Hajj and Umrah markets. Prior to joining DinarStandard, Yakup worked at Turkapital Holding (Islamic Private Equity) as well as at Bim Birlesik Magazalar A.S (the largest discount retailer in Turkey). Before starting his entrepreneurship career, Yakup was a business editor at Yeni Safak daily newspaper in Turkey. Yakup received his education in Journalism from Istanbul University and holds an MBA from Marmara University. Joined the Singapore Tourist Promotion Board in 1981 and has covered various portfolios – events management marketing, destination marketing (West Asia, Jakarta), licensing (travel agents, hotel, tourist guides), industry development (tourist guides)Currently heading the STB Middle East Africa office in Dubai implementing leisure and MICE marketing initiatives and programmes via partnerships with in-market stakeholders and enhancing brand and destination awareness via the social media. Erkan Aslantas is the Assistant Manager of Korea Tourism Organization (KTO) Istanbul and is in charge of promoting Korea as a travel destination, with the consequent goal of increasing visitor numbers to Korea. The primary area of focus for the Istanbul office is interaction with media, tour operators, travel agents, meeting planners, the Korean community and general travel consumers that live and or work in the “Turkey, Israel, Greece, Bulgaria, Serbia, Montenegro, Bosnia Herzegovina, Romania, Slovakia, Macedonia, Croatia, Albania, Slovenia, Georgia, Azerbaijan, Malta,Armenia. Emin Cakmakcı is the Turkey Country Manager of CrescentRating - the world’s leading authority on Halal-friendly travel. He manages the operations and represents CrescentRating in Turkey and Europe. His goal is to elevate and further develop CrescentRating in Europe and champion for a Halal-friendly travel environment in Turkey. Dr Hüseyİn Pamukçu is an Assistant Professor at Tourism and Hotel Management Department of Tourism Faculty in Kastamonu University. He first began his career as a Research Assistant in 2013 while completing his Masters from Afyon Kocatepe University. He received his Doctorate in 2017 from Sakarya University and later was promoted to faculty member at Kastamonu University in 2018. Pamukçu has contributed numerous international and national research papers (articles, papers, book chapters, chapters in newspapers and magazines etc.) to the tourism literature and have been invited to speak by various international events. Sacide Tuba Barkçin is the Founder of Halal Travel Style - a global entertainment platform for Muslim travelers & modest fashion lovers. She writes authentic travel articles, travel tips, news of upcoming events and interviews with fellow travelers on her page. In addition, she manages content across all platforms & projects with partners. Her goal is to inspire Muslims to travel across the globe and help disseminate information to professionals about halal events around the world. Dr. Ömer A. Tekin is the Director of Suleyman Demirel University Halal Tourism Application and Research Center (HETURAM). He is also a member of consultancy committee of International Halal Tourism Organisation (IHATO). He has been preparing scientific research projects and industrial reports on Halal Tourism since 2014. His aim is to prepare and publish global Halal tourism reports that involve strategic knowledge for global Halal tourism markkeybet via network of HETURAM. Adnan comes from a background in Criminal Justice / International Relations while Samia has a background in Government & Special Education, together they founded Halal Tourism USA which started helping American Muslims looking to travel the halal way and now has grown into fan following from Muslims/Non-Muslims around the world reaching over 100k+ people! Emmy Abdul Alim is editor for Salaam Gateway, the global Islamic economy portal. She has been covering the Islamic economy since 2010 when she started reporting on Islamic finance. Her work with Salaam Gateway since the portal’s launch in 2015 also covers the halal and Islamic lifestyle sectors. Emmy is based in Singapore. Contact us if you are interested to become our local partner in organizing a Halal in Travel Conference in your country or if you would like to know more about the sponsorship opportunities available for your brand to reach a wider audience.